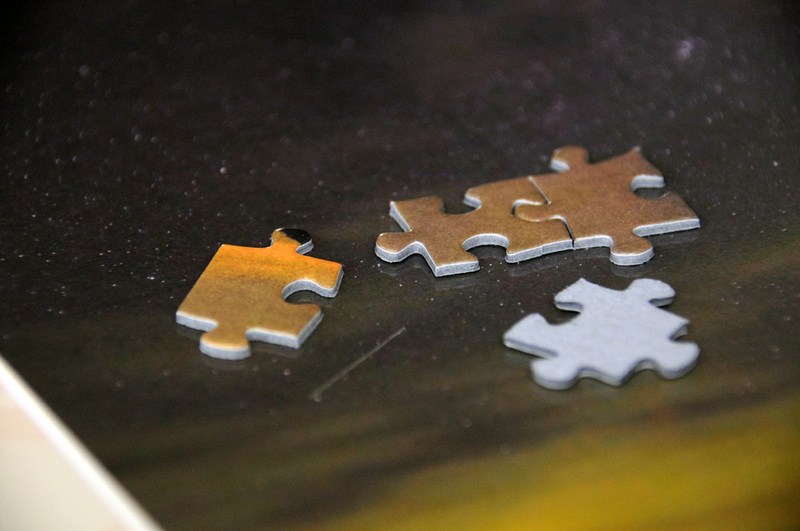 Jigsaw puzzles are an excellent way to relax and pass the time. 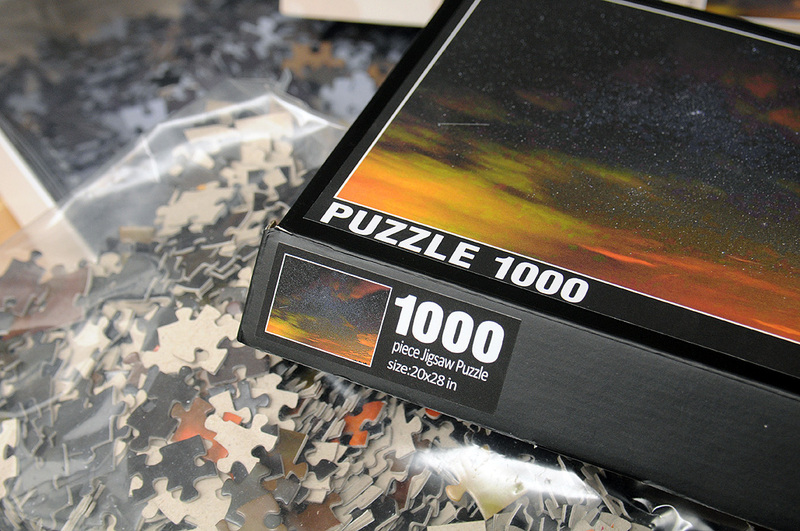 There is something compelling about a jigsaw puzzle: maybe because completing/attempting one requires a lot focus without a lot of concentration, or it brings people together in an off-the-grid kind of way, or that the first time a disparager of all things jigsaw finds two pieces that fit together they’re hooked just like everybody else. 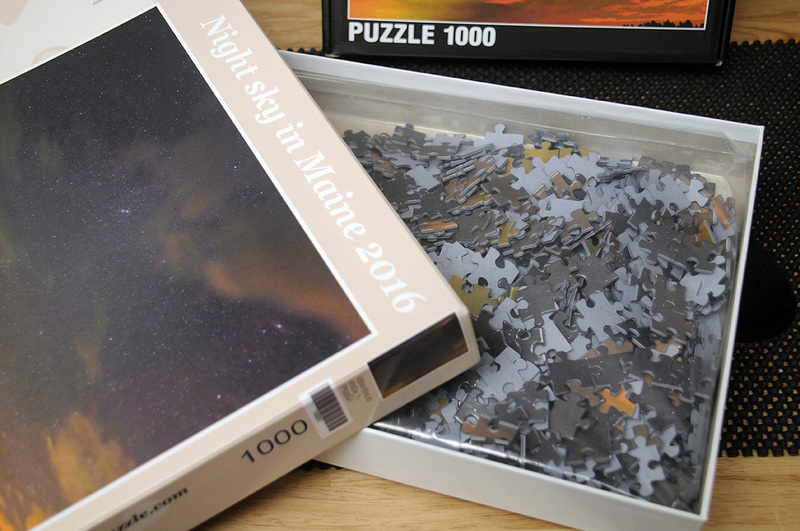 Jigsaw puzzles make great gifts, especially if you can personalize them, which was exactly what we did to thank our host for inviting the entire RainyDayMagazine crew to Maine for a weekend recently. The sky looked exactly like that. Looking for a corner piece. The entire process took just a few minutes and we had no problems with any of the steps. You can tell that the folks who run the businesses really LOVE puzzles. Both vendors had suggestions along the way to make the option selections clear and easy (ie: age of the person who will be putting the puzzle together, level of difficulty, etc). After completing our orders, both companies sent an email confirmation and the order tracking info. 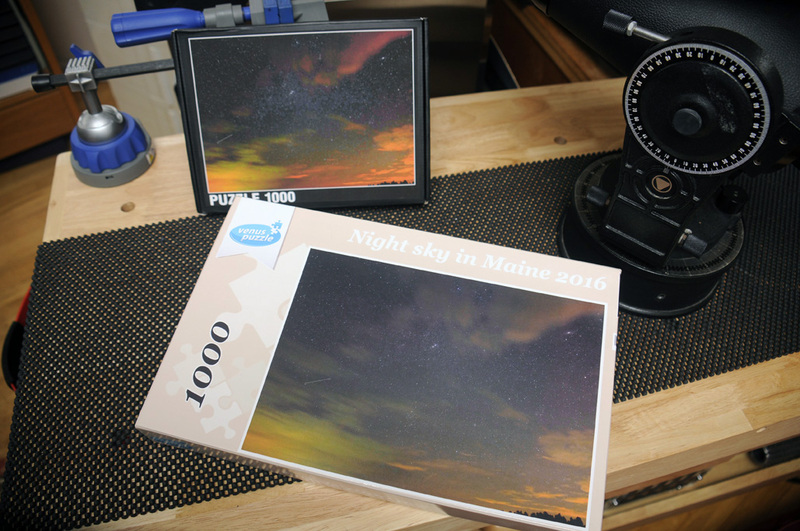 Our puzzles arrived in a few weeks with no issues from either vendor. The quality of the puzzle pieces were excellent. The cardboard used was rigid, the cuts were clean and had sharp edges, and both companies used a nice clear glossy finish. A THOUSAND? All hands on deck! Or, in this case, coffee table. The Jigsaw2Order folks noticed that our Night Sky image was a little dark; they contacted us and informed us that they could do some enhancements to bring out some of the sunset colors as well as the stars. We thought that was pretty cool so we said “go at it :-)” The result was a more vibrant image which was actually closer to the actual sunset we saw in Maine. Nicely done!!! Quality pieces, made just for us. 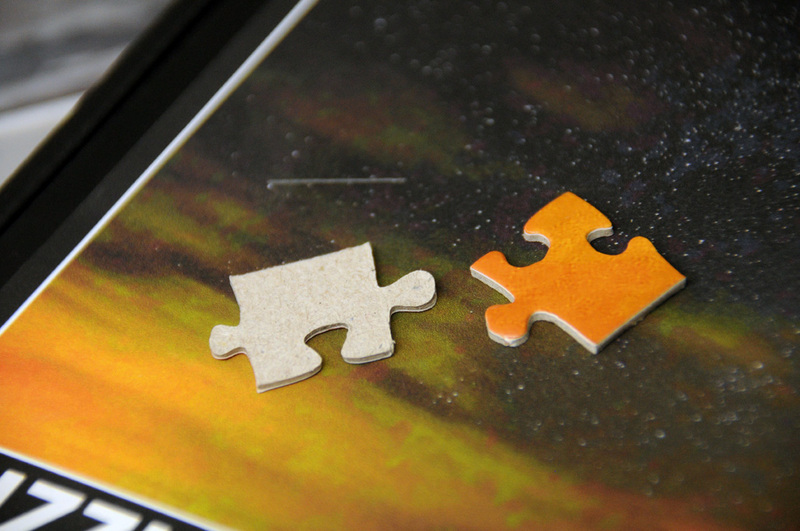 Jigsaw puzzles requires no batteries or an internet connection. It is an old-school way to while away the time in the company of good friends, is fascinatingly addictive, and even better when done up in the wilds of Maine. Give it a try!